This week on Curmudgeon’s Corner, the show was recorded before the attack in Nice, Trump’s final VP pick, and the attempted coup in Turkey. So there will be nothing about those things! 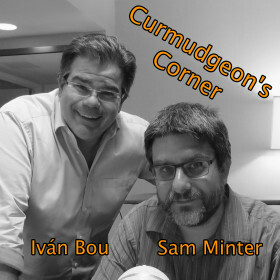 But Sam and Ivan do of course talk quite a bit about Election 2016 anyway. The other major topic is racial tensions in the wake of the Philandro Castile and Dallas shootings. The show is rounded out with shorter discussions of hard drive failures, summer camp, the UK prime minister… and Pokemon Go!